My step-father, Jim Foust, died yesterday at age 97 and three/quarters. I know you probably think that is not surprising but believe me this was one person for whom advancing age never seemed to touch. My grandkids, his great grandkids, called him GG Jim, great-grandpa Jim after Jordyn first coined that name for him. Glenn Taylor Foust (Jim), was born in 1917. And has remained all 97 of these years pretty much aware and remembering the details of his great life. My mother met Jim first as Dr. Foust. 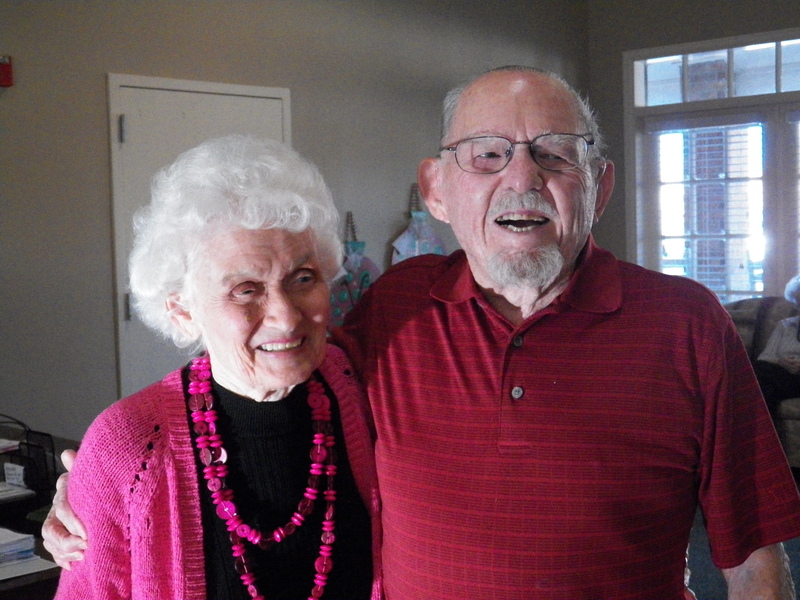 He was her OB-GYN in the 1950’s as she was pregnant with first my sister and then I. In essence I have known Jim all my life since he cared for my mother and delivered me into this world. Pretty crazy. And while he was part of bringing me into this life, Jim saved my life once, literally, as well. My family moved off to Chicago for many years as Jim continued to have a thriving practice in Denver. When my family returned to Denver in the 1970s, my mother was once again a patient of Jim. My dad died in 1991 and as my mom embarked on a life of her own, Jim was doing the same having lost his wife as well. They met again walking in a Denver park. Before any of us had time to think about it, the two of them were heavy into a relationship. I remember Jim and mom coming to visit my family in Florida in the mid-1990’s. 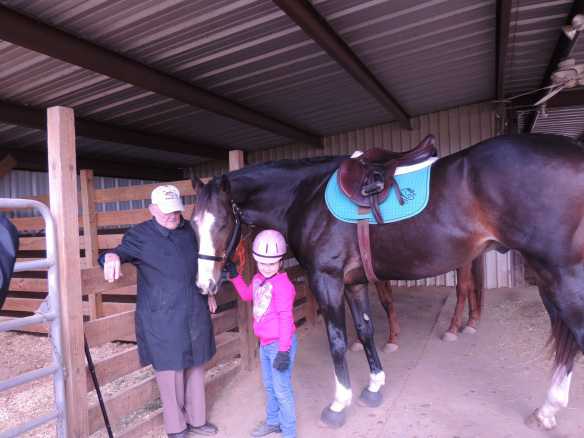 Ally was taking horseback riding lessons and Jim went along with me to watch. He filled the time telling us stories of being in the cavalry. Have you ever met anyone that served in the U.S. Cavalry? Jim was an excellent horseback rider and had pictures of himself jumping four-foot or larger jumps on huge thoroughbreds. My dad was a horseman but Jim actually had done the things that Ally and subsequently Lauren would compete in. I was an avid swimmer, competing for over ten years. Jim had been an outstanding swimmer and diver as well (not something I did well). It was another thing we had in common. As the relationship deepened between Jim and my mom, I was very happy for her to have found such a love again. They were married in 1997. I think they both made each other very happy. Not many of us get such second chances. Jim had a place in Tucson and I remember so many terrific times with the family there. Over dinners he would tell us stories of his hunting adventures in Alaska. To this day, I believe there are still trophy animals in one of the Denver museums that Jim hunted, killed and had shipped back to Colorado for display. He had amazing times hunting on horseback in wild, completely untamed country. Jim was great golfer as well and won tournaments at Cherry Hills in Colorado along with many in Arizona and other locations. He was still swinging a golf club even in recent years. I realized a little late in Jim’s life that I had missed a tremendous opportunity in my journalistic endeavours. I wish I had been able to devote some time to Jim and to hearing his life story, from birth to the war, to medical school and training, to his wild adventures in some of the real frontiers of America. I think his story would be one from which we could all learn a little something. For my children, especially Lauren and Ally, Jim was the grandfather they knew best. I do not say that to disrespect their other grandfathers, but because of my mother, Jim was so much more involved in their lives. Jim cheered all the girls on from childhood and as they grew into adults. I am sure even today the kid’s pictures still grace the walls (and refrigerator) of his home in Tucson. Jim, Jordyn and Bruno. 95-year-old Jim wanted to ride him. I said no. When Jordyn came along both mom and Jim were her biggest fans. Jordyn made a lot of trips to Denver and there was a deep and special love between the three of them. 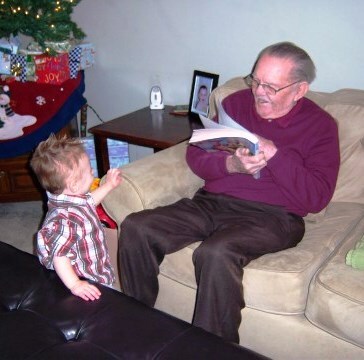 Jim was great with all the great-grand kids and seemed to have a special rapport with them. Maybe it was from having delivered so many babies, he appreciated how special they were. He carried a little book which held all the names and birth dates of his family from young to old. He would read the roster off for me, telling me a little about each one. Jim was my step-father. He loved my mother and I. He cared about my children and grandchildren. In many ways, I feel he was one of the last of his breed, of the tough, but wiry and resilient type that met challenges head-on with his usual surgeon like decisiveness. It is the end of era for me. It is the last part of my momma that was left. I think it is ironic that he died on Valentine’s Day-he was such romantic and blessed my mother with flowers so often. God Speed, Jim. You were one of a kind and brought so much love to my mother and my family. I would tell you to rest now in peace but I doubt you are slowing down even for a moment as you embark on Heaven and all its delights. This entry was posted in Family Life, Grandkids, Losing my mother-the advancement of Alzheimers and tagged Glenn Taylor Foust, Jim foust by Exechorseluver. Bookmark the permalink. A beautiful tribute to a lovely man. Thank you,Cindy, for sharing it with us.